Having initially joined the business in 1995 as a trainee groundman, Gareth is the classic example of someone who has worked his way up through the ‘ranks’ to his current role as General Manager through hard work and determination. On his journey to become General Manager, Gareth undertook an HND in Arboriculture at Durham College of Agriculture and Horticultural, and then graduated with a B.Sc. (Hons) Degree in Forestry from Newton Rigg College in Penrith. After completing his Forestry degree, Gareth embarked on a one year work placement in New York as a climbing arborist before returning to Clarke Cunningham Tree Maintenance Ltd. as contracts manager. Gareth then continued his studies on a part time basis, undertaking a post graduate diploma in Management Practice at the University of Ulster Jordanstown. Gareth still enjoys being practically involved in our tree maintenance operations and also provide arboricultural consultancy services including tree inspections and surveys. In order to remain up to date with contemporary theory and practise, Gareth also recently successfully completed the Lantra – Professional Tree Inspection course. 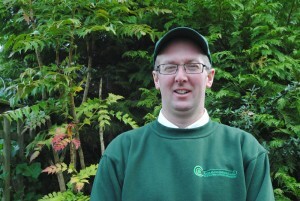 As General Manager, Gareth is responsible for managing all aspects of Clarke Cunningham Tree Maintenance Ltd., including the management of all staff, sales and operations (including managing quality). Gareth also ensures the effective use of all company resources, managing company finances and information to ensure effective communication, problem solving and decision making. Having been brought up in an environment where trees and timber products provide an income for the Home, Kenny, like his Professional Forester Father has spent most of his working life in this area. Joining Clarke Cunningham Tree Maintenance Ltd in 1989 as a second climber, Kenny went on to operate the companys timber lorry whilst maintaining his climbing role. Due to his experience in timber products and production, he also spent some time setting up and running the sawmill operating at the business. In the mid 90’s, Clarke Cunningham Tree Maintenance Ltd won a contract with Northern Ireland Electricity to provide a vegetation management programme around NIE apparatus on a 5 years rolling programme. 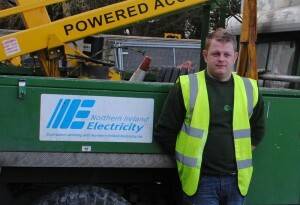 Kenny was then appointed to manage around 30 operatives with specialised equipment, who pruned branches and other vegetation away from power lines and other NIE apparatus in order to ensure a safe reliable electricity supply. Kenny then assumed the management of the Belfast City Council, Arboricultural Works Contract, which was awarded in 2001. This contract also involves carrying out tree surgery works for DoE Roads Service and the Dept of Social Development on the east side of the Province, all of which keeps Kenny and his teams busy around Parks, Cemeteries, Green Spaces and along roadsides. Throughout his long career with Clarke Cunningham Tree Maintenance Ltd, Kenny has always sought to improve his knowledge and skill sets, and to this end holds a LOLER certificate in Thorough Inspection of Arboricultural Equipment as well as a certificate for Professional Tree Inspection. He recently undertook a two year Arboricultural Association Technician Certificate in Arboriculture. Having left school at 15, Colin went to work on one of the largest vegetable farms in North Down where he was part of a large team of people who planted, grew on and harvested a wide range of vegetables for the Belfast market. Due to hard work and dedication in producing the crops in all weathers and long days, Colin was then promoted a few years later to the position of Farm Manager, a position he held for some 13 years. He then decided to make a career change and joined Sylvan Services Total Tree Care of Ballynahinch where he started as a lorry driver / groundsperson. Due to his enthusiasm for his new found career, Colin then self funded himself to attend a City and Guilds Training Course in Professional Tree Surgery, at the world renowned Merrist Wood College in Guildford, Surrey. This intensive course was a combination of practical and theory skills and involved Colin in a new found challenge – tree climbing! 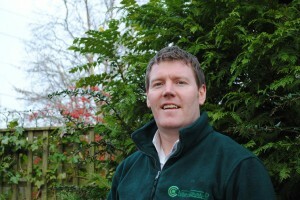 When Sylvan Services merged with Clarke Cunningham Tree Maintenance Ltd in 2000, Colin transferred to the new company and by now was a competent and effective climbing Arborist, carrying out a range of tree surgery operations as a team leader. 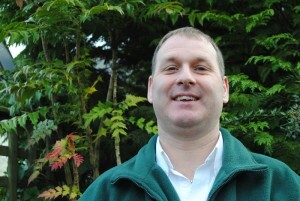 Then in 2004, a vacancy was available for the position of Tree Care Manager which Colin applied for and was successful. Since that time he has consolidated his position in that role and now has a wide range of customers to service, mainly in the East of the Province. Colin is also a very talented wood turner, producing some delightful artefacts made from native hardwood. Such is his skill that he not only lectures and demonstrates this art form but also the current chairman of the Irish Wood Turners Guild. Stephen McFerran, NIE Contracts Supervisor. Originally from Killyleagh,Stephen started off his working career at T.G. Fairburns Vauxhall Garage in Crossgar, where he was employed as an apprentice technician, attending Downpatrick Technical College on a day release programme. During 1998, he had an opportunity to join CCTM and work alongside his two brothers, Brian and Robin. Stephens main responsibilities were to service and maintain the 14 strong fleet of Land Rover cherry pickers which were engaged in the then current NIE vegetation management contract. At the end of that 7 year term of work, Stephen was then absorbed into the Tree Surgery teams initially as a groundsman, and then after a period of training, becoming a Climbing Arborist. A new NIE contract was won in 2009, and he was then made a foreman climber heading up a team dedicated to this important Utility work. Due to this experience with the network, Stephen was then promoted to the position of NIE Contracts Supervisor, being responsible for the planning, implementation and administration of all the NIE vegetation management operations, carried out by 5 teams of Arborists. High Hedges Legislation is here!